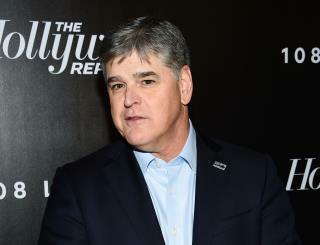 (Newser) – The number of eviction orders in an apartment complex owned by Sean Hannity rose 400% after the Fox News host purchased the property for $8 million nearly four years ago, reports the Guardian. After Hannity took over the 152-unit Hampton Place apartment complex in Perry, Georgia, property managers received approval to evict 61 residents. The previous owner received approval to evict only 12 tenants in a similar period of time. Through his lawyer, Hannity is denying responsibility: "Mr. Hannity is not involved in the management of these properties. Evictions only occur after a material breach of the lease terms," says Christopher Reeves in an email. But not all of the tenants threatened with eviction were booted out. Profit-seeking money-grubbing SOB. They're all the same, they're pathetic. Have a nice life chasin' that cash, dickhead. "Georgia is one of the harshest states for tenants." ---> Red State Blues.